The National Museum of Women in the Arts is the only museum in the world dedicated exclusively to recognizing the contributions of women artists. 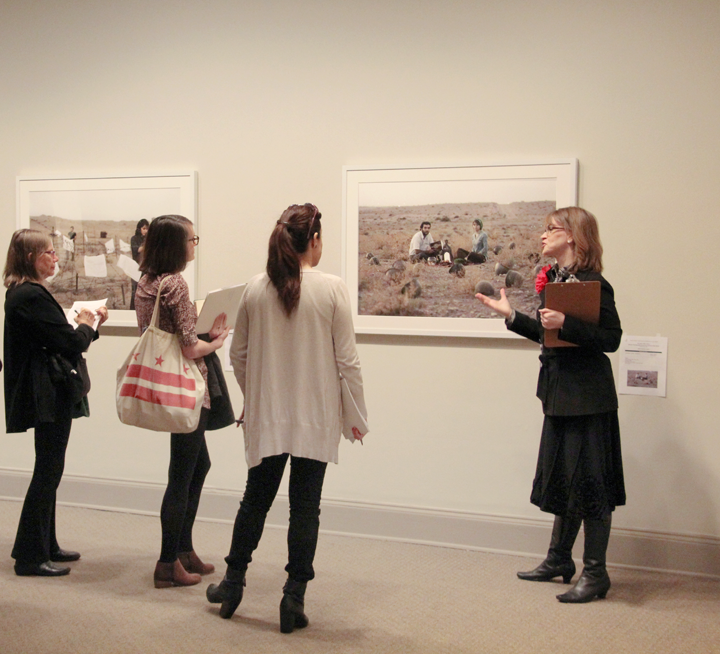 Large-scale photographs by contemporary women artists illuminate their perspectives and challenge stereotypes in She Who Tells a Story: Women Photographers from Iran and the Arab World, on view April 8–July 31, 2016. Each artist in the exhibition offers a vision of the world she has witnessed, and each image invites viewers to confront their own preconceptions. The exhibition features artists Jananne Al-Ani, Boushra Almutawakel, Gohar Dashti, Rana El Nemr, Lalla Essaydi, Shadi Ghadirian, Tanya Habjouqa, Rula Halawani, Nermine Hammam, Rania Matar, Shirin Neshat, and Newsha Tavakolian. Public personas, private desires, and political convictions are reflected in photographs on view, such as several images from Beirut-born Rania Matar’s “A Girl and Her Room” series, portraits of teenage girls and young women in the privacy of their surroundings that are both intimate and universal. Diversity within contemporary visual media from Iran and the Arab world is, in part, a product of the distinct regional identities in the Middle East. The photographers come from varied backgrounds, and they offer new perspectives on social, political, historical, and even universal identity. The term “Orientalism” refers to depictions of the Middle East and East Asia by Europeans or Americans—romanticized visions that reflect the goals of Western colonialism and imperialism. 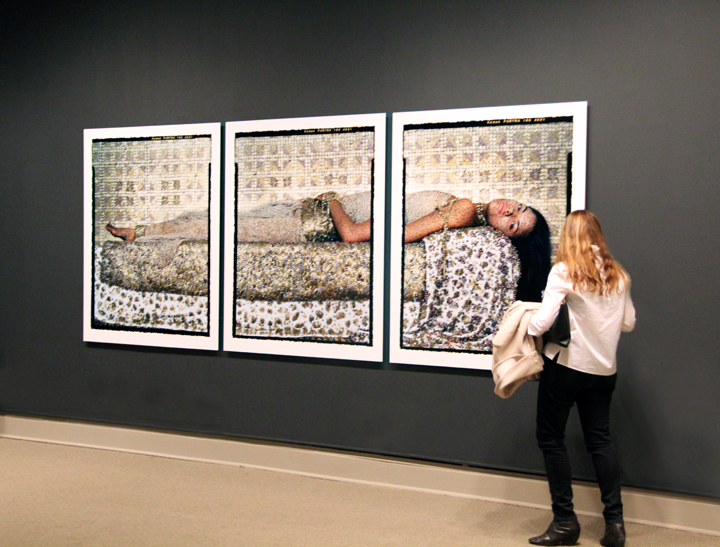 The images in this section show the critical view contemporary artists have taken toward Orientalism, especially in regard to depictions of women and the hijab, or headscarf. Here women stage themselves as protagonists in dramatic settings, in contrast to the male-dominated Orientalist fantasy. The triptych Bullets Revisited #3 (2012) by Moroccan-born Lalla Essaydi, evokes a 19th-century Orientalist painting, but she incorporates elements like calligraphy and bullet casings to comment on Western versus Eastern cultures as well as gender dynamics in the Arab world. The images here combine artistic imagination with documentary techniques—from aerial photography to scenes of life amid conflict—to reflect contemporary experience. Palestinian artist Rula Halawani’s “Negative Incursions” series is printed in negative to evoke the disorientation of conflict and to comment on media representations of the region. She and the other photographers explore themes of urbanity, war, occupation, protest, and revolt, as well as concerns about the medium of photography itself. From the untold stories of Middle Eastern landscapes to those of urban anonymity, these works challenge the mass media and, more specifically, the present-day visual representation of the Middle East. 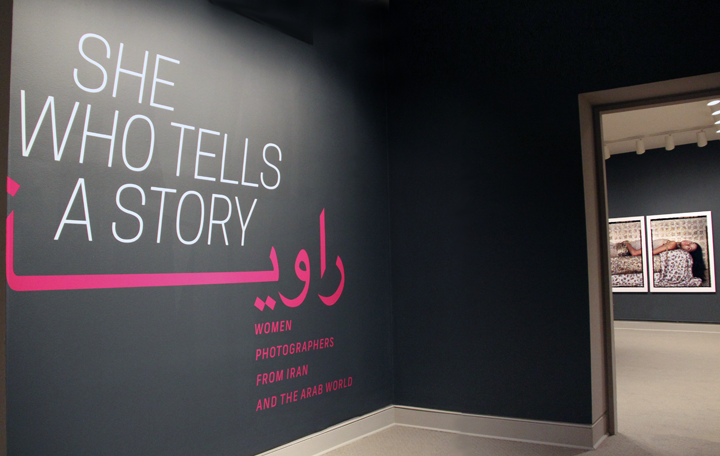 Learn more about She Who Tells a Story and related programs, and plan your visit soon!